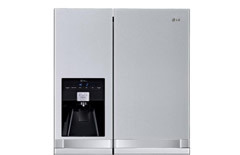 Which fridge freezer should I buy? Explore our kitchen to discover all of the brilliant new features available with the latest appliances. 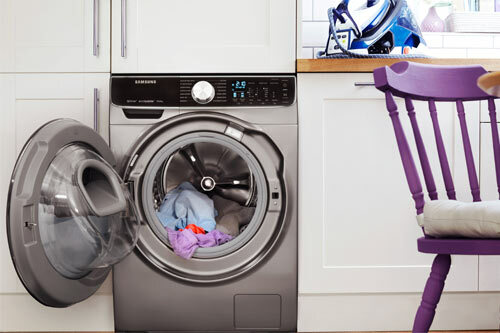 This QuickDrive washing machine offers a whole host of practical features, including ecobubble technology, sensor washing, and the handy AddWash door. 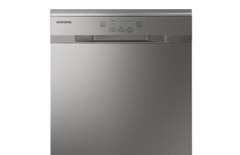 Never worry about doing the dishes again - just load up your AEG ComfortLift Integrated Dishwasher and relax. It’s so quiet, it won’t disturb you as you enjoy your evenings at home. 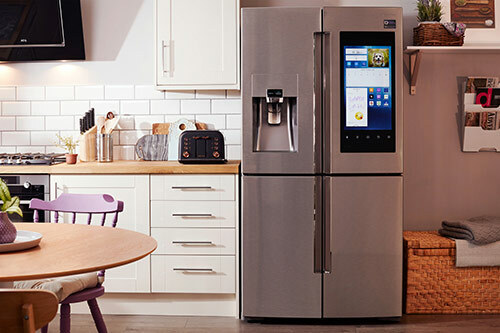 The cameras inside this Samsung smart fridge to check what food you have left and never make the annoying mistake of buying something you already have again. 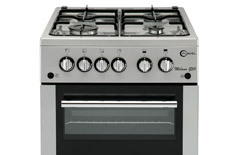 With an attractive glass design that’s easy to keep clean, this four-burner hob looks the part. It also has cast iron supports that offer excellent stability. For dinner parties and family get-togethers, a built-in oven gives you the versatility you need to cook anything you want. Don’t worry about setting it up - our installation team can handle all the hard work. 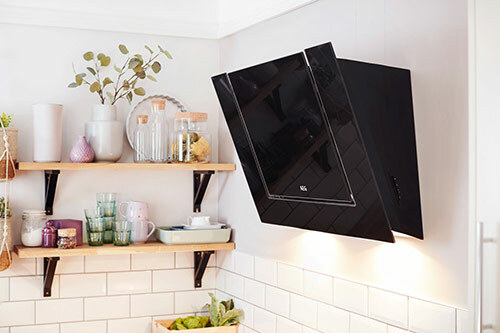 Perfect for a modern kitchen, this angled cooker hood is both practical and good-looking. It can extract or recirculate air and has built-in halogen lights to keep your worktop well lit. Should I buy a smart fridge? Make the most of smaller kitchens with appliances to help you create space. You've bought your first home and it's time for an upgrade. Finally, no more washing dishes by hand! 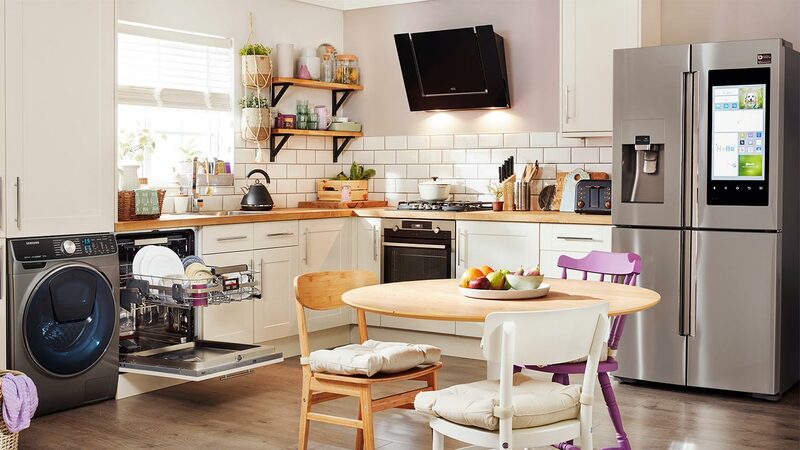 Bring your home to life and take the hassle out of chores with the impressive range of Currys PC World household appliances. Whether you’re cooking for one or the entire household, you can find the ideal solution to prepare meals with ease. 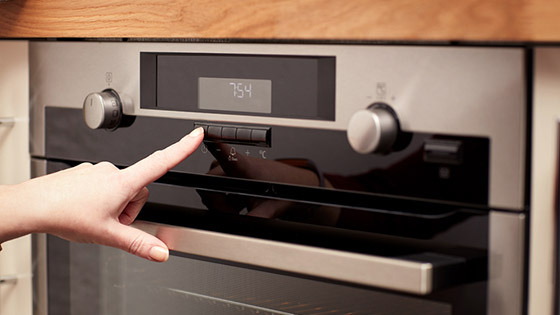 Choose between freestanding and built-in cooking appliances, including microwaves, ovens, range cookers and hobs. 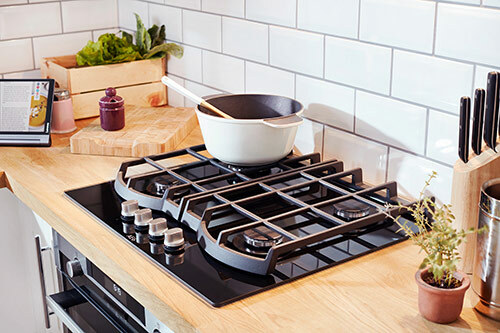 Look out for useful features like pyrolytic cleaning and induction technology to make the most of your kitchen. 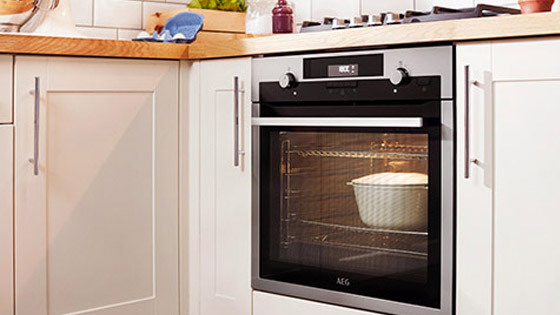 Our range of refrigeration appliances are energy efficient and include features to make your life easier. 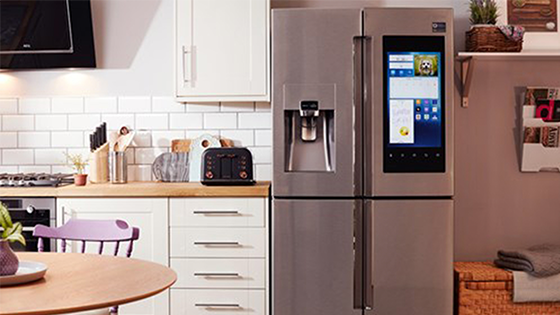 Smart fridges can connect to the internet while water and ice dispensers are great for social gatherings. 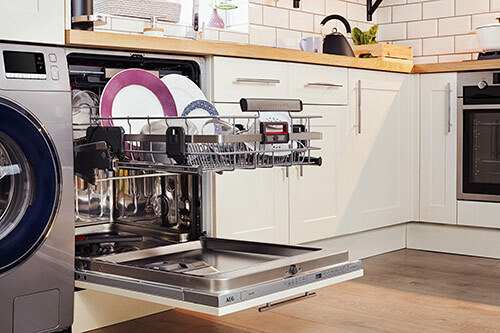 With tabletop and slimline dishwashers for smaller spaces and full-size models for larger households, you can choose the ideal dishwasher for your home. Featuring advanced technology to help you save time and energy, you can clean your dishes with ease. 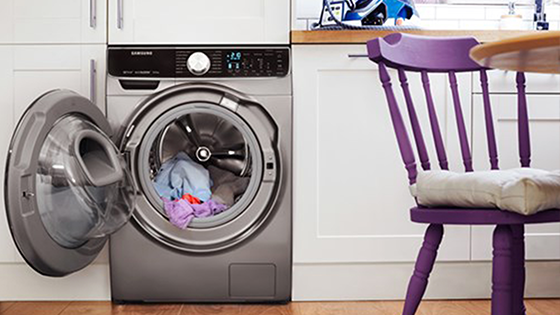 Whatever your needs when it comes to laundry, you can find the ideal appliance for your home in our range. 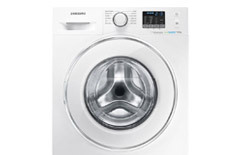 Depending on the space you have available and how much washing you do, you can choose from both freestanding and integrated models with advanced features designed to make your life easier. 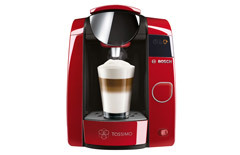 Explore our range of small kitchen appliances to add flair to your kitchen. With kettles, toasters, coffee machines, slow cookers and more, you can find the ideal house appliances to create your ideal kitchen setup. 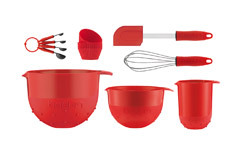 Unleash your inner chef with our range of cookware and bakeware. Prepare meals using our range of pots, frying pans and utensils, or explore our range of gadgets to take the hassle out of food preparation. 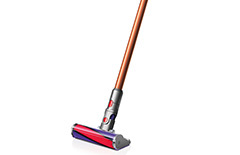 Keeping the floors of your home clean is simple with Currys PC World range of floorcare appliances, including powerful cordless vacuum cleaners and the latest robotic technology vacuums.